The Sentosa Flowers 2012 is back with a big bang to welcome the Year of the Dragon 2012 with their theme of Enchanted Spring on Sentosa island. 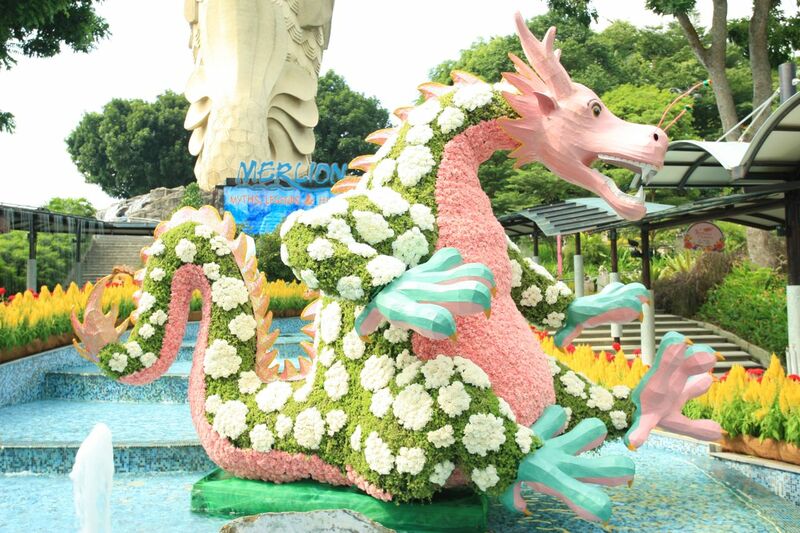 The Sentosa Flowers promise to dazzle and amaze you with many beautiful flowers galore, along with many Dragon sculptures to usher in the Year of the Dragon! I was invited by Sentosa to a preview of the Sentosa Flowers, on Saturday 21st January 2012, thank you very much to Sentosa for their kind and warm hospitality! Sentosa Flowers 2012 starts from 22nd January 2012 to 29th January 2012 and this beautiful event promises great photography opportunities for flowers and nice for family gathering events too! There are many interesting flora and fauna on display at Sentosa Flowers – Enchanted Spring, let me take you through some of the highlights there, they are my favourite highlights of Sentosa Flowers 2012 !! Located at the Merlion Plaza, you can’t miss this beautiful, cute, giant Pink Floral Zodiac Dragon, located in front of the Merlion, this is going to be a huge attraction for visitors, local and international, wanting to get a photograph of it! 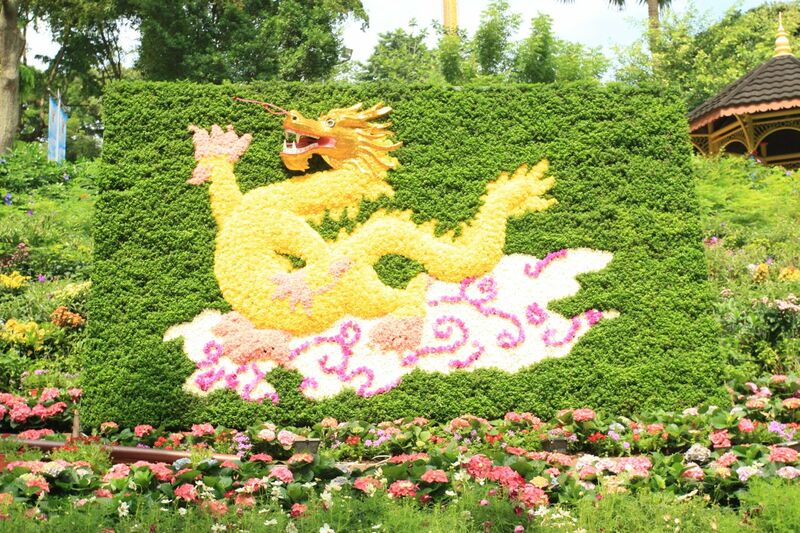 This is definitely going to be another “hot” location at Sentosa Flowers, visitors would be queuing up to take a photograph of this exotic Dragon sculpture! You would be able to hold a big brush and “touch” the eye of the Dragon, when your brush gives it a touch, it would “come alive”. 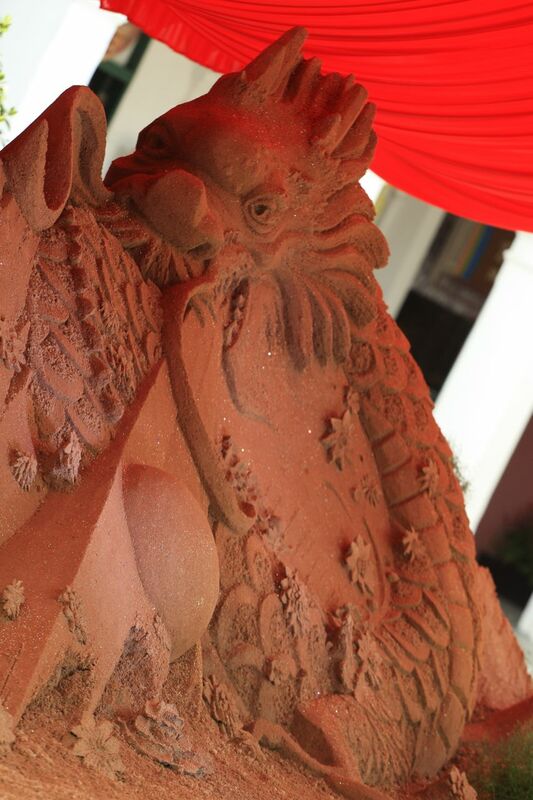 Located at Imbiah Lookout, you can’t miss this great piece of artwork/sand sculpture, a Dragon sand sculpture, surrounded by beautiful colourful flowers, dancing around them, ushering in the Year of the Dragon, bringing prosperity and good fortune to all! My personal favourite at Sentosa Flowers 2012 !!! You must go there and find those cute dinosaurs!!! 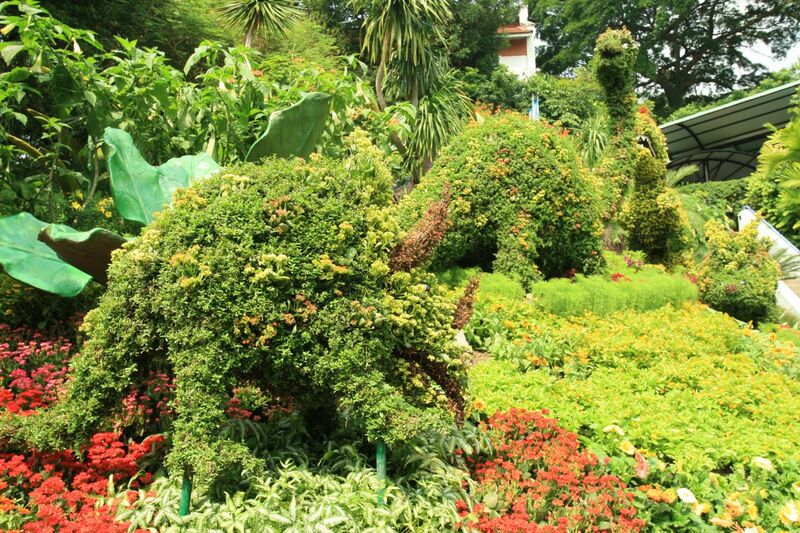 They are located at Dinoland, on the route up from Merlion Plaza to Imbiah Lookout!!! There are more highlights too at Sentosa Flowers 2012, do check out the information here! Flowers galore too at Sentosa Flowers and do spot them along your tour of Sentosa Flowers Festival 2012!! 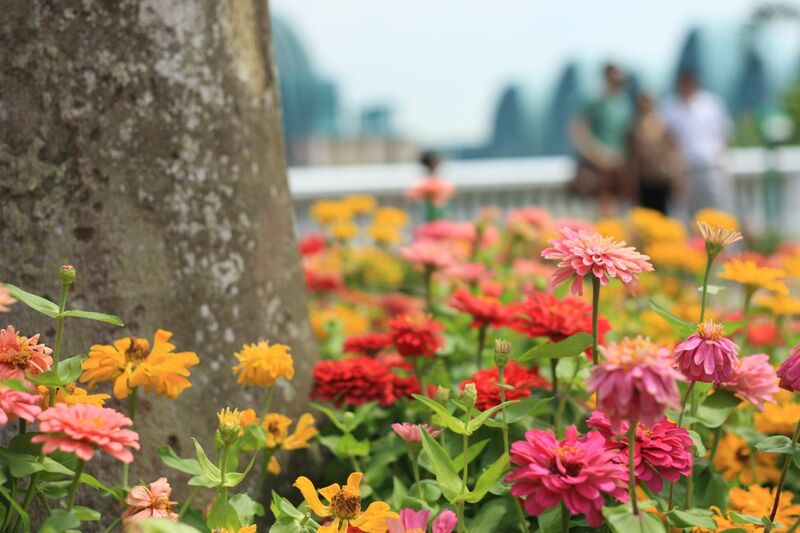 There is a fun photography competition – Magic Moments, during Sentosa Flowers too, do check them out here! For more information, check out Sentosa Flowers website for more details and information! Grab you cameras, visit Sentosa Flowers 2012 and have fun! Check out more photos here from my Flickr collection!